The image is a regular packing of delivery with stapled. These high quality resealable plastic bags allow the safe delivery without dust and/or moisture. As the size more information if you need, please asking us when you order. 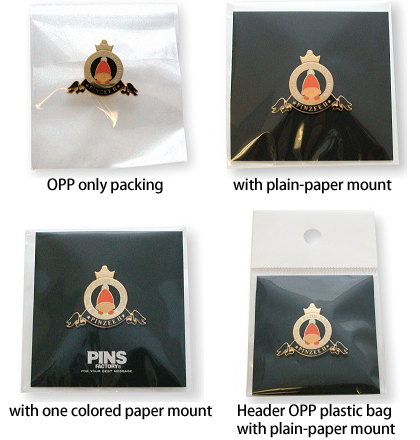 These high quality OPP plastic bag have self-sealing and no need twist ties. As the size and more information if you need, please asking us when you order. Clear lid and Black base, Cushioned insert. Using for example Company pins. Clear lid and Black base, Cushioned insert with Paper Sleeve. 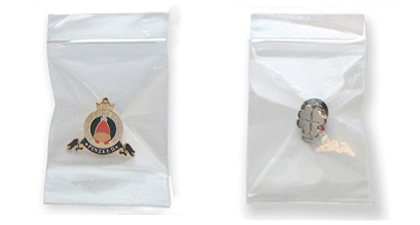 Using for example Award, Memorial pins. Clear lid and black base with hinge, Cushion insert. 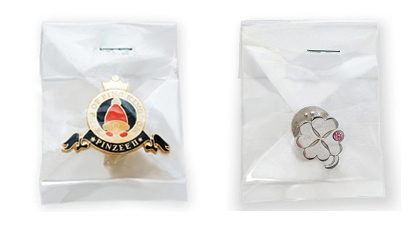 Using for example Company pins per each pin. High quality and beautiful velvet case using for Award, Memorial such as classy scene. Insert organized mount/paper into clear case to display that stands independently. Insert organized mount/paper into clear case to display that is available to stand independently and hang wall. Special frame for display of pins have two types Antique and Metallic look you can choose due to your situation. *As the size and more information if you need, please asking us when you order. Special frame for display of pins have made by real wood gives us classy feeling and satisfaction of receiving.